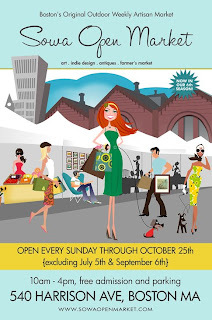 Come visit me this Sunday at the South End Open Market. July 12th from 10am - 4pm. Free admission and free parking! Shop the handmade market and the antiques market. While you are there, pick up some fresh produce from local farmers and freshly baked bread from local bakers...mmmmm... fresh baked bread! 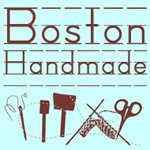 Two other Boston Handmade members will be at the market this Sunday as well. 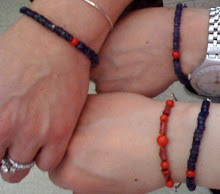 Betsy from Stonehouse Studio, and Marla from SeaGlass Things. Check us out and show your support for local artists! It's a great way to spend a Sunday!